A vast amount of low grade heat is being wasted primarily in the manufacturing and processing industries throughout the world. These industries include glass, cement, steel, aluminum, biomass, regenerative thermal oxidizers, food processing, pulp and paper, petroleum refining, desalination, water treatment, fuel cells, ceramics, electronics, chemicals and many others. 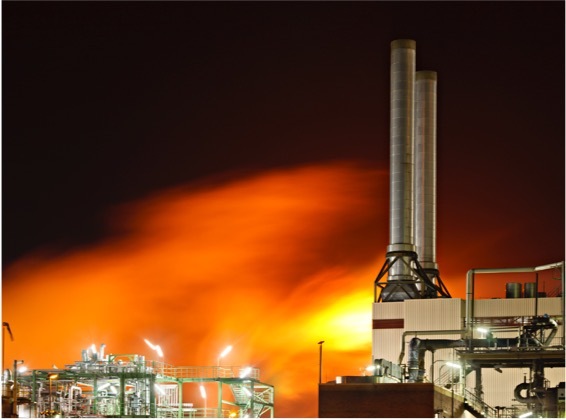 Based on surveys completed by Access Energy, many manufacturing facility operators are aware of sources of waste heat below 200°C in their factories that cannot be used efficiently in manufacturing processes and cannot be used to make steam. 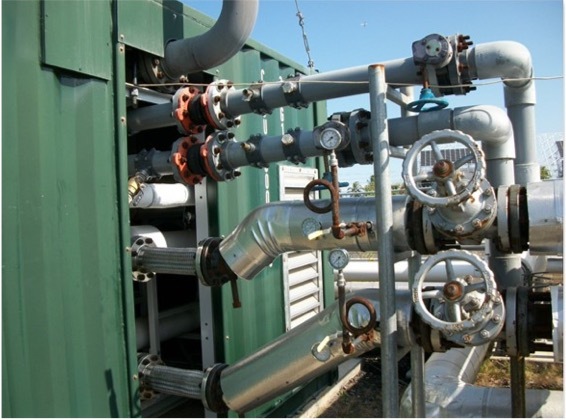 Rather than venting this heat to the atmosphere, more and more operators are taking advantage of the benefits of low grade heat recovery systems. The exhaust from the glass melting furnace- a large part of the energy supplied to fossil-fuel fired glass furnaces is lost through the chimney. Even efficient regenerative or oxygen-fired furnaces typically lose 25-35% of the total energy through the stack. The furnaces are natural gas or oil-fired, and operated at temperatures up to 1,575°C. The heat out of the chimney is about 220°C. During the incineration process, waste materials are combusted at very high temperatures, resulting in flue gas and particulates. The particulates, such as ash and other inorganic particles, must be filtered from the flue gas before it is released into the atmosphere. One method of filtration is the use of a bag house. This requires the temperature of the gas to be reduced to below 450° F (232° C). 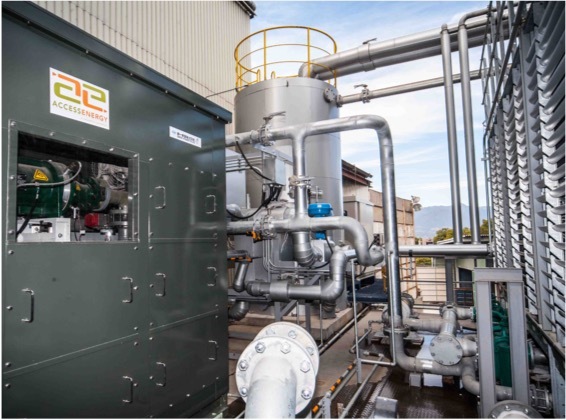 Access Energy’s Thermapower® ORC Module can be used to remove the heat from the flue gas and convert it into electric power, which can be used onsite or sold to the local utility. Existing, coproducing oil and gas wells offer immediate access to geothermal energy through the brine extraction process. 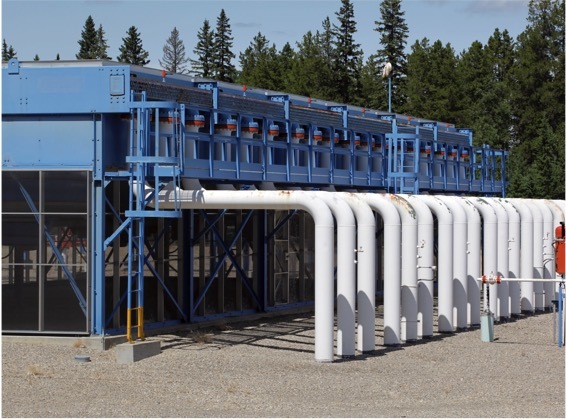 The integration of Access Energy’s Organic Rankine Cycle (ORC) product, Thermapower™ into these wells is a fast and effective solution for accessing and capitalizing on sub-surface heat energy. Oil and gas wells are capable of producing electricity through a binary cycle as long as the wells can produce hydrocarbon or water at or above 180°F (82°C). This electricity, applied either directly or indirectly to offsetting the well site’s auxiliary electricity requirements, decreases net operating costs, extends the life of the well and in some cases is eligible for renewable energy credits. Based on the scientific temperature mapping of the continental United States conducted by Department of Energy (DOE), the National Renewable Energy Laboratory (NREL) and Southern Methodist University (SMU) Geothermal Laboratory, fluid temperatures between 180°F to 450°F can be found in areas where oil and gas production is concentrated at average well depths of 10,000 to 20,000 ft.
With large-scale geothermal power production on its way to becoming a major source of renewable energy, small-scale production from both manmade and naturally occurring springs is beginning to realize its potential for widespread application, particularly in rural areas and as a distributed energy resource. Thermapower® ORC Modules use the heat from the hot water to generate clean power. The water is then injected back into the ground to be reheated for reuse. Thermapower ORC modules have been operating in geothermal applications for approximately three years under some of the harshest water conditions. 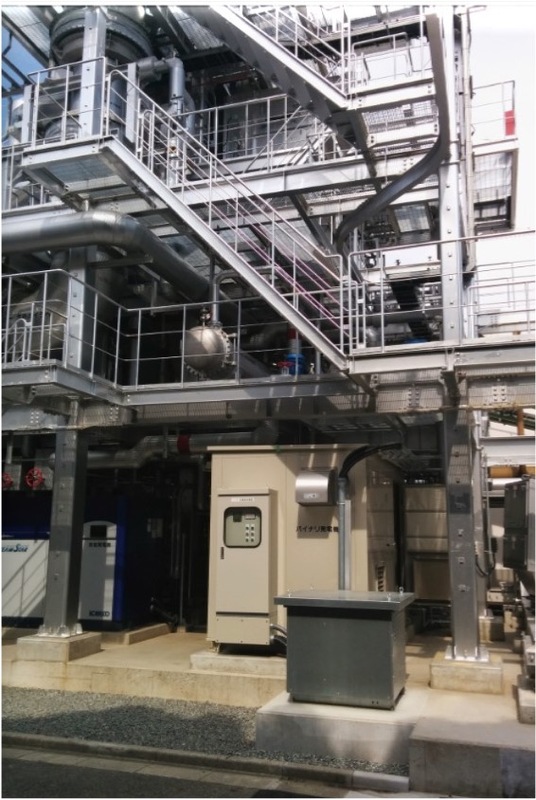 In both of these solutions, electricity is used to run the cooling fans and pump motors, increasing operating costs and decreasing process efficiency. 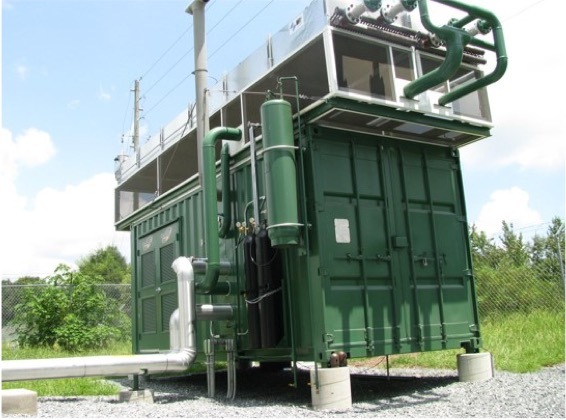 The Thermapower ORC Modules can improve operating costs, since less cooling equipment is required and the electricity produced can be used onsite. 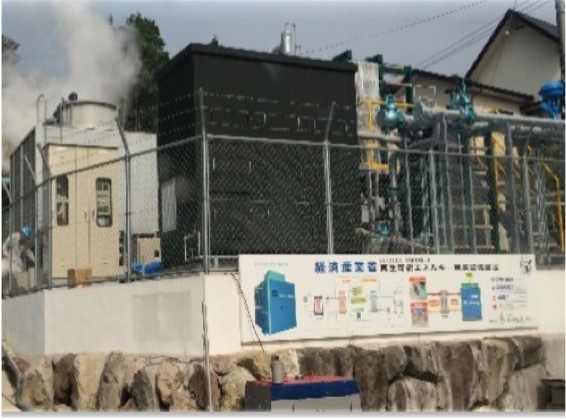 Instead of flaring natural gas, it is better for the environment to completely burn the gas at high temperatures using incinerators to significantly reduce emissions. Access Energy’s Thermapower® ORC Modules capture heat from flared gas at well sites, plants and refineries and turn it into electricity for use onsite or to be sold to the local utility. The propulsion engines and auxiliary systems of marine vessels generate a significant amount of heat energy that can be converted into electric power using Hydrocurrent® ORC Modules for marine applications. The power produced is often used to supplement shipboard auxiliary power. 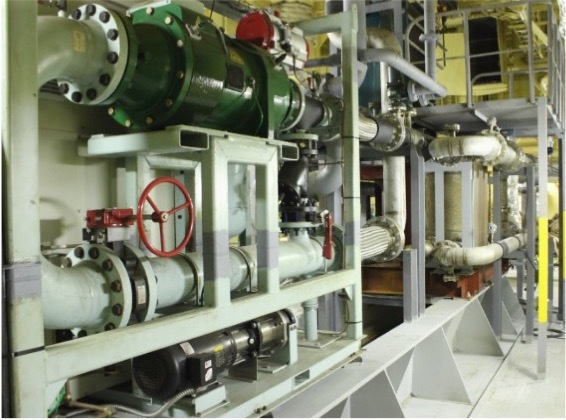 Hydrocurrent ORC Modules also can generate electricity from the waste heat produced by turbomachinery equipment on offshore platforms, and floating, production, storage and offloading (FPSO) units to help power oil production processes. Access Energy’s Thermapower® ORC Modules can be used in conjunction with solar process heating systems, such as solar ponds and solar troughs, to convert the heat from the hot fluids produced by such systems into electricity. Parabolic solar troughs have improved in performance and are much simpler and cheaper to build in comparison to other solar equipment. Thermapower’s performance, project viability and simplicity of integration with solar process systems have been proven through solar thermal installations in tropical islands.